restoration. 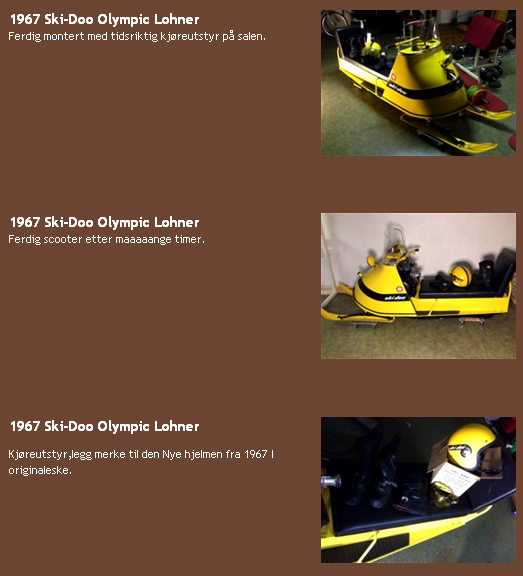 This is a 1967 Ski-Doo assembled at the Lohner factory in Europe. Canadian and USA models. Click on the link to see the full restoration. THANKS TOR FOR THE GREAT PICTURES !